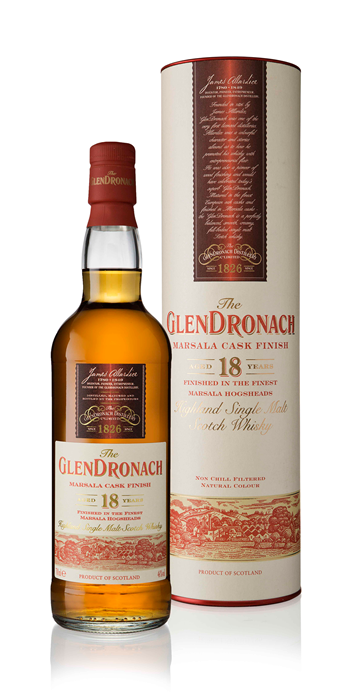 An exciting bottling form Glendronach this year if you are into wine cask finished whiskies, which I am! This particular expression was first matured in European oak casks then finished in a small batch of Marsala hogsheads. Glendronach have been quite successful in their revival with some well respected core range expressions like the 12yr and 15yr Revival. So it’s nice to see them shake it up a bit with some more experimental whiskies. Damp burlap sack. Sweet fresh wood smell like pine wood planks. Fruitiness as well but on the low side and a bit covered up by the other smells. Also fresh cardboard smell like opening up a a fresh box from Amazon. A bit savoury like fresh seafood. Also a rich sweetness like sticky toffee pudding. Rich ripe red fruits coat the mouth nicely. A bit like mulled wine. Slightly acidic and bitterness that compliments the berries and a hint of lobster bisque crustacean-ness. Long and dry sweetness with old wood essence like an old Victorian library. The lobster bisque-ness also lingers. In a good way! This was my kind of dram. Rich, sweet, and complex. All together very enjoyable. The whole seafood bit might seem kind of strange but I’m a big fan of seafood and this dram to me was something like that Willy Wonka three course gum. Marzipan, nutty with some trailing spices. Vanilla, winter spices. Marzipan candies. Gentle finish with notes of spice and toffee. Image at the top was sourced from the GlenDronach Website.